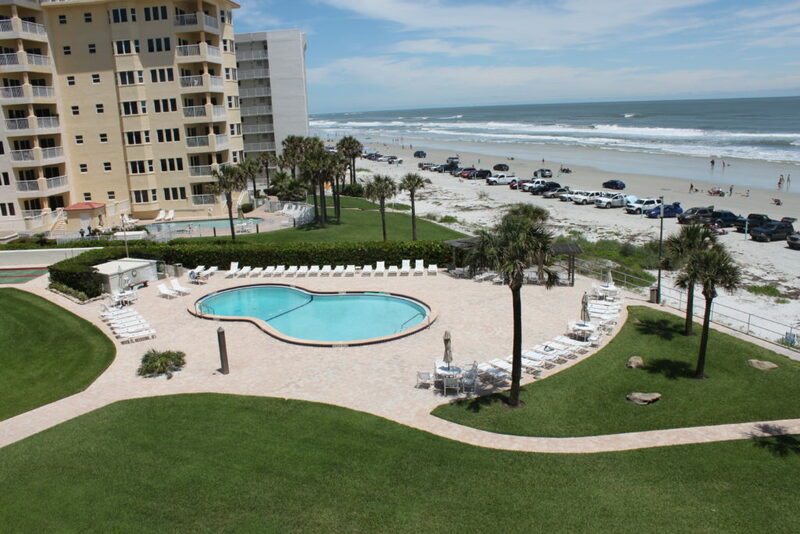 Welcome to one of the premiere oceanfront condominiums on one of the finest beaches in Florida. The Golden Arms has 88 fully furnished condominium units with two-bedrooms/two-baths and large balconies. 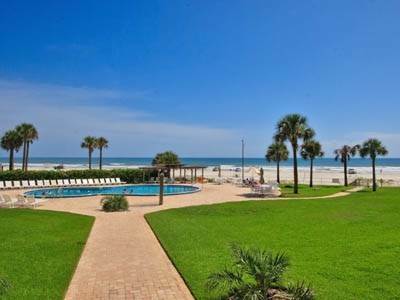 New Smyrna Beach offers over 13 miles of pristine white sand beach – wake up to a magnificent sunrise view from your master suite and fall asleep each evening to the sounds of the surf rolling ashore. 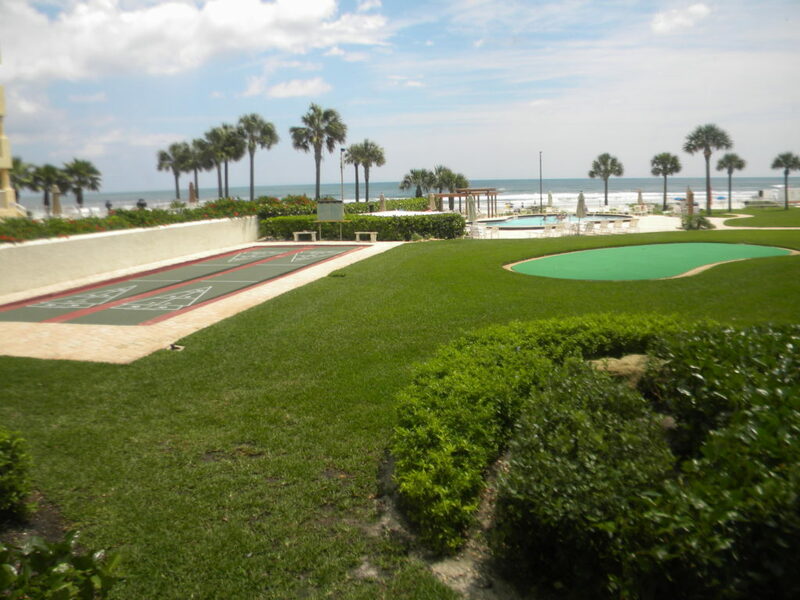 During the day, enjoy our private heated pool, shuffle-board court, and our world-class beach. The Golden Arms is also within a very short walking distance from historic Flagler Avenue which is home to restaurants, coffee shops, nightlife, retail stores, and bike rentals. All units are approximately 1250 Sq. feet inside with an additional 250 sq. foot, half-moon shaped balcony. We also offer a state-of-the art security system with key-less entry. On-site managers that are available to assist you from 9:30 am-3:30 pm Monday- Friday and are on-call 24/7.